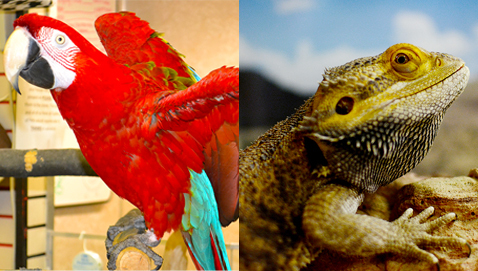 Shop with confidence and choose from our wide selection of birds, reptiles, fish, and mammals. At Gallery of Pets, each animal is gently handled and lovingly cared for by our team of expert staff. We carry both saltwater and freshwater fish species. We also carry a wide variety of food, aquariums, filters, lights and accessories. Leaving for vacation? We offer premium pet sitting and bird boarding services at a great price. Your pet will be lovingly cared for by our team of experts. We have a wide variety of food, medicines, toys and accessories for your cats and dogs. We offer a Frequent Buyer Program for most of our brands. Since 1977, pet owners have relied on us to bring together value and quality. Our patrons travel a great distance for our customer service, expertise, and variety of products. We carry Teddy-bear Hamsters, Gerbils, Rats, Guinea Pigs, Rabbits, Fire-bellied Toads, Sandfish, and Bearded Dragons. Come check them out. Our staff, with over 100 years of combined experience in the pet industry, is ready and willing to meet your pets’ needs. We are here to make your shopping experience a positive one! reptiles and amphibians. The store also offers pet-sitting and aquarium cleaning services.